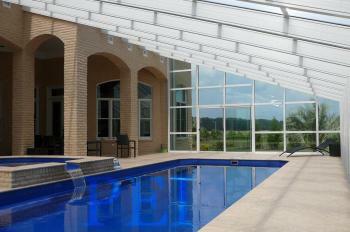 Pool Enclosures, Inc. manufactured the custom 33' deep x 51' long "lean-to" pool enclosure shown below. 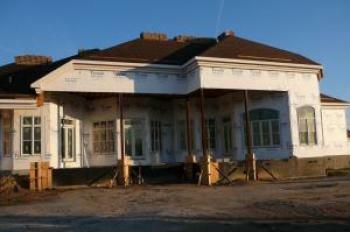 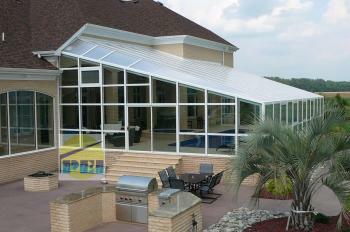 The enclosure was designed to accomodate the house off-set. 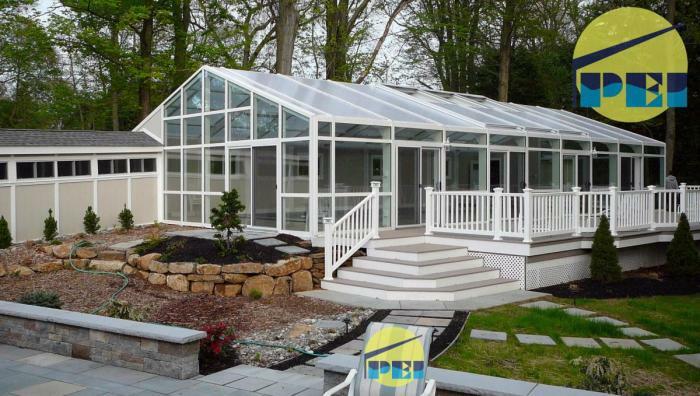 Note the custom compound-pitched left hand roof bay to match the house overhang...the flexibility of the polycarbonte roof glazing and gasketed rafter glazing caps allows for this... an insulated tempered glass roof would not achieve this result. 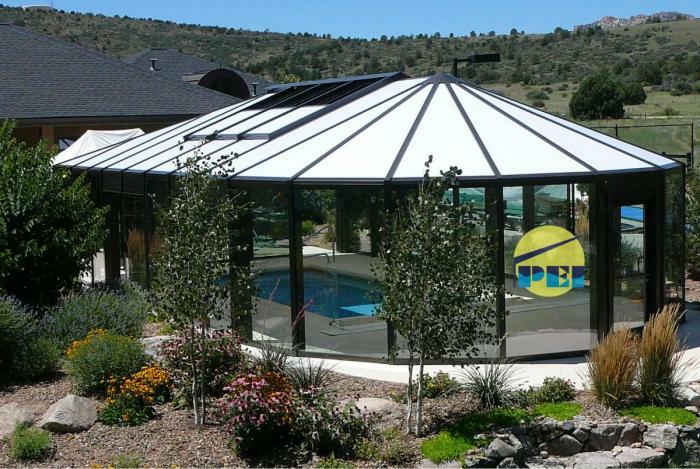 The roof glazing is 1" clear multiwall polycarbonate and the walls are 1" clear low-e high performance insulated tempered glass. 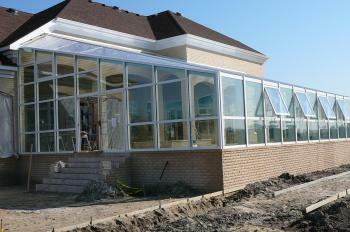 Some accessories include sliding glass doors with stainless steel rollers and hardware, plus large awning windows for ventilation. 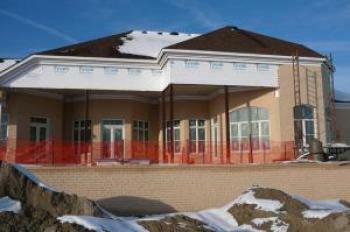 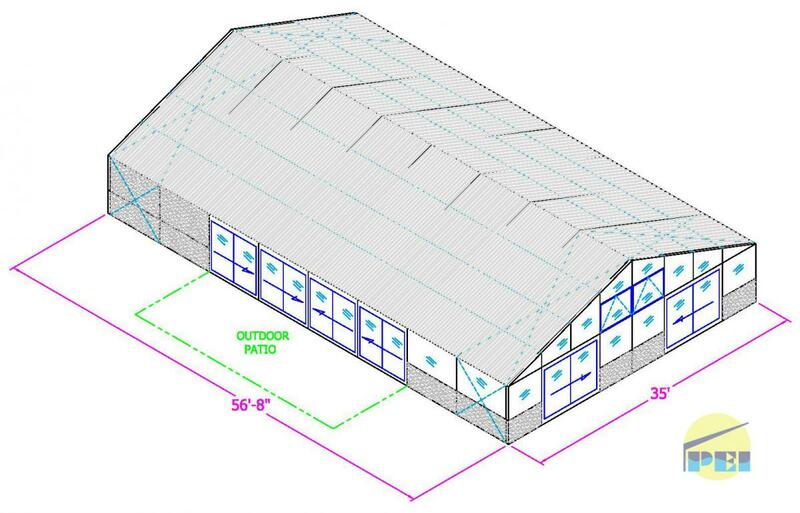 A NEW POOL ENCLOSURE PROJECT IS SCHEDULED FOR EARLY 2019 IN GREAT FALL, VA.
A gable (a-frame shaped) 29' x 57' swimming pool enclosure with attached walkway and equipment room. 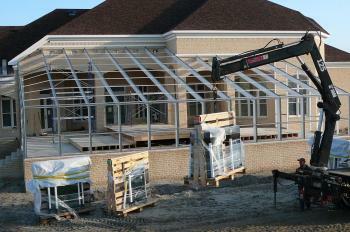 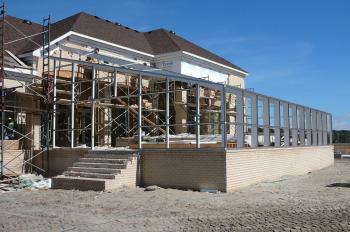 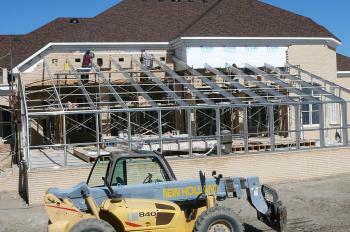 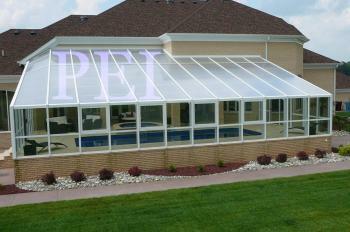 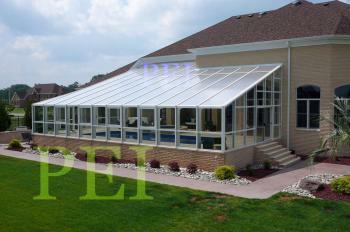 Below is a faceted end conservatory style 25' x 45' pool enclosure. 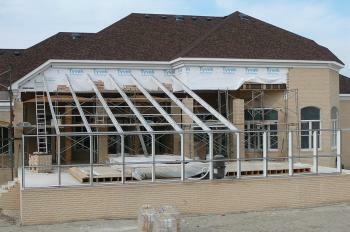 The frame color is dark bronze baked enamel. 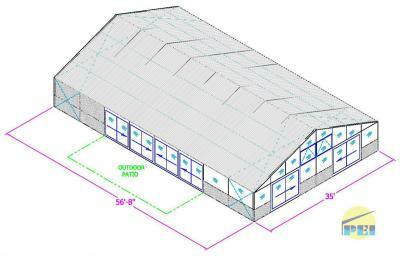 The roof material is 25mm (1" thick) multi-wall opal colored polycarbonate with motorized retracting roof panels. 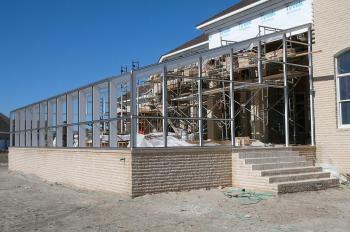 The walls are 1" thick dual pane insulated tempered glass with energy efficient low e coating.